Comments Off on Do Ya Feel Lucky?? As many of you already know Charlie’s Pub for some time has offered tavern gambling and the daily number. Each day the daily number is not won it continues to grow….. well this is one of the times where it has grown to over $1100…. Now normally you could say to yourself in all this daily confusion I can’t remember if I stopped at Charlie’s and signed up for the daily number or not, was that yesterday or just today…… well in all this confuzzelment you have to ask yourself, “Do I feel Lucky?” Well do ya!! .. maybe you better stop at Charlie’s and sign up today!! It’s the second Tuesday of the month and it’s time to Uke it up at Charlie’s Pub…. Bring your Valentine, and enjoy the toe tapping, sing-a-long, just plain family fun. Starts at 6:30pm… come early, get something from the menu, and enjoy the evening! It’s Time For Our Christmas Uke Night! Comments Off on It’s Time For Our Christmas Uke Night! Well… it’s December… it’s Tuesday….oh, it’s the second Tuesday… which means…. December Christmas version of the every second Tuesday of the month Ukulele Night… so come and join us for a Christmas version of a toe tapping, play along, sing along good time…. 6 to 9 pm .. If you’re not here.. your friends will miss you! Happy Thanksgiving! Charlie’s Pub & Eatery will be closed all day Thursday November 23rd, Thanksgiving Day, to allow staff to spend the day with family & friends. We will re-open Friday November 24th at 11am! Not Just Another Tuesday……It’s Uke Time!!! Comments Off on Not Just Another Tuesday……It’s Uke Time!!! November 14th will go down in the history of Charlie’s Pub & Eatery as one of those nights to remember. Live music played by even livelier musicians, everyone singing, toe tapping, and trying to remember the cord changes….. It’s the monthly Ukulele Night at Charlie’s Pub. 6:30pm to 9pm, come and sing along with a warm welcoming group of friends! It’s a family fun night at it’s best at Edinboro’s Family Restaurant & Pizza Pub! It’s That Time Again…… Time to Uke it UP! Comments Off on It’s That Time Again…… Time to Uke it UP! Now that the Car Cruises are done for 2017, our monthly Ukulele Night will move back to Tuesday’s. This months Uke Night will be Tuesday, October 10th, 6:30pm to 9pm. Always a family friendly fun time so stop in and enjoy a Charlie’s dinner and join the sing-a-long. Many that know the Charlie’s of old say it feels like when the Good Time Charlie Band would play and everyone would sing, hum, tap their toe, or just smile and enjoy. So dust of the ole’ Ukulele and come on down to Charlie’s Pub & Eatery in the Giant Eagle Plaza. Another Big Week At Charlie’s Pub! Comments Off on Another Big Week At Charlie’s Pub! The second week of the month in the summer is always a busy time here at Charlie’s Pub. Tuesday July 11th will be the second edition of the 2017 Charlie’s Cruise-In’s. Then on Wednesday July 12th our monthly sing-play-and hum along Ukulele Nite. All are welcome to come and join in the fum family event. Bring the Uke and play along, sing if you like, or just have a brew and enjoy the fun. 6:30pm to 9pm… come join us! Charlie’s Pub & Eatery, Edinboro’s Family Restaurant & Pizza Pub! Comments Off on Happy Birthday America! 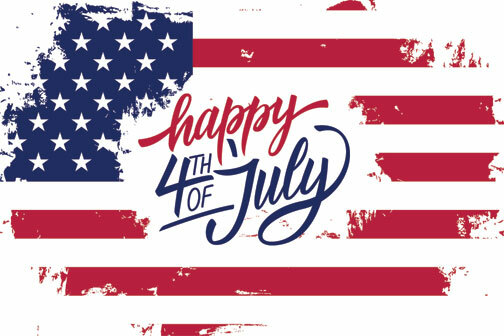 Charlie’s Pub & Eatery will be closed all day Tuesday July 4th so our staff may spend the holiday with family and friends. It’s going to be a busy week here at Charlie’s Pub…. First, on Tuesday we host the first Cruise-In of the 2017 Season. From 6pm to 9pm you can enjoy viewing a great collection of cars, new and old, and be entertained by the great music of DJ Bill Mason. As with every Cruise-In we’ll have food and drink specials and a 50/50 to support a local charity. Wednesday night 6:30pm to 9pm is our monthly UKE night. Come and play along, or just sing, tap your toe, and enjoy a good old fashioned family sing-along. These monthly gatherings are normally on the second Tuesday of the month, but just a reminder for the summer months they will be the second Wednesday because of the Cruise-In. So clear the calendar and bring the family to Charlie’s for two fun nights at Edinboro’s Family Restaurant & Pizza Pub!